Matthew Schneider focuses his practice in business and commercial transactions, with particular emphasis on corporate transactions and commercial real estate. Mr. Schneider has substantial experience with real estate acquisitions, leasing, financing, construction and development. He has represented a wide variety of clients, including developers, retailers, manufacturers, lenders, borrowers, governmental entities, and educational institutions. He also has represented clients in general corporate matters, municipal finance transactions, and mezzanine and asset-based lending transactions. Mr. Schneider is a Minnesota State Bar Association Certified Specialist in Real Property Law. Prior to joining Hinshaw in 2017, Mr. Schneider was assistant general counsel for a national specialty retailer with more than one thousand stores and annual sales exceeding one billion dollars. He also spent several years in private practice at a large Minneapolis law firm. 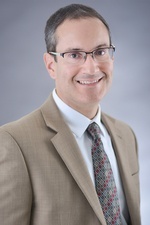 Mr. Schneider began his legal career as a judicial clerk to the Honorable James C. Harten, Minnesota Court of Appeals. Mr. Schneider has advised pro-bono clients at Volunteer Lawyers Network real estate clinics. Mr. Schneider coaches his daughters' basketball and softball teams.